We are delighted to announce that our summer exhibition at the gallery is underway with a colourful display of a selection of artist's work in many different styles, mediums and sizes. On the opening night we collaborated with Danebury Vineyards, who provided us with their delicious white wine, Madeleine Angevine, which was well received by those who came, inspite of the amazing tennis! In addition we are proud to have two works of art on display which have been chosen from two local schools. 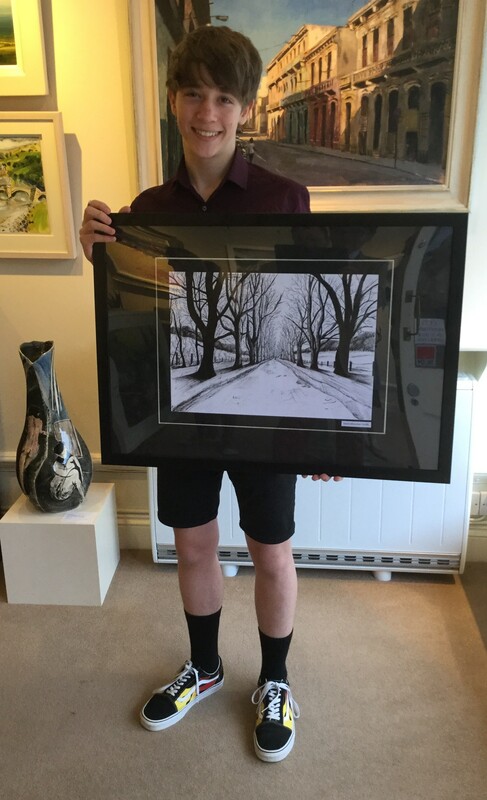 David Mossman Smith from Test Valley School did a pen and ink drawing of an avenue of trees called "Contrast". 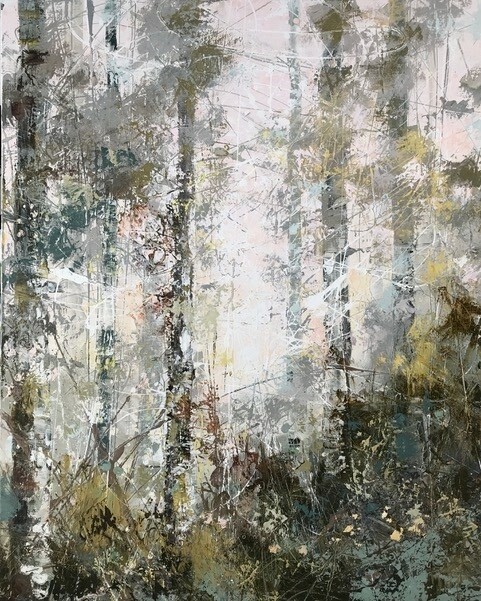 David has also been lucky enough to sell his work to a client of the gallery who lives locally. 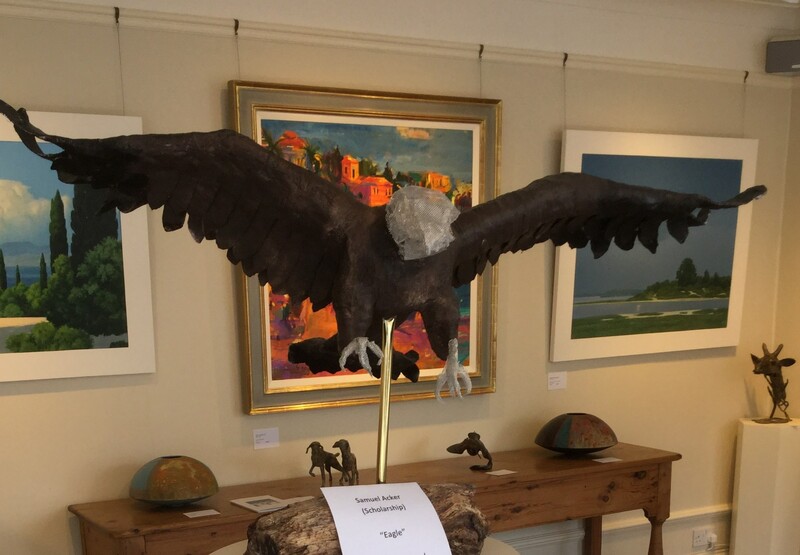 Farleigh School's pupil Samuel Acker produced an amazing Eagle sculpture, having been inspired by one of our artist's, Karl Martens, who paints wonderful watercolour pictures of birds. This large piece has been greatly admired for his original approach to the composition. Gerald Dodson, the gallery owner, feels strongly about the importance of encouraging young artists in the community so is delighted to announce the Wykeham's support in this respect. Every year a piece will be chosen from both schools and then exhibited in the gallery windows for the start of the Summer Exhibition. Gerald feels that by giving these young students the opportunity to show their work alongside already established artists it will hopefully give them additional confidence and aspiration in the pursuit of their art. 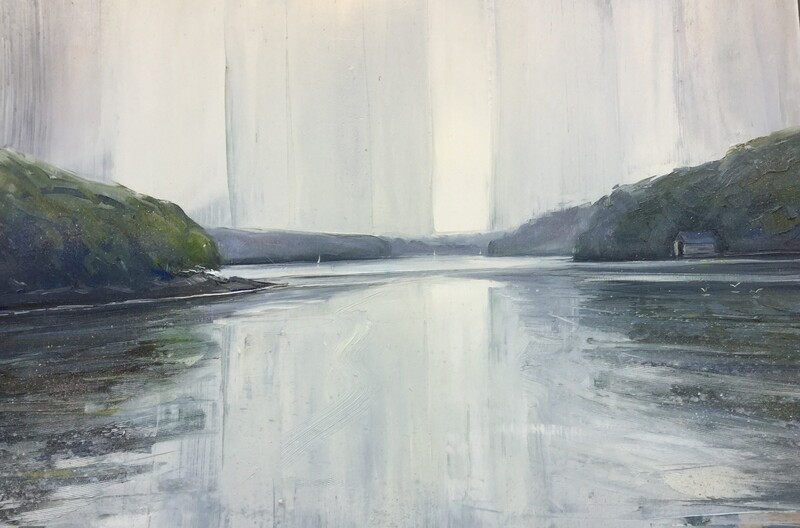 We have a new artist who has joined the Wykeham, Maggie Cochran, depicting wonderful seascapes of Cornwall perfectly capturing the muted light which is a feature of this part of the country and the unusual hues of this coastline. 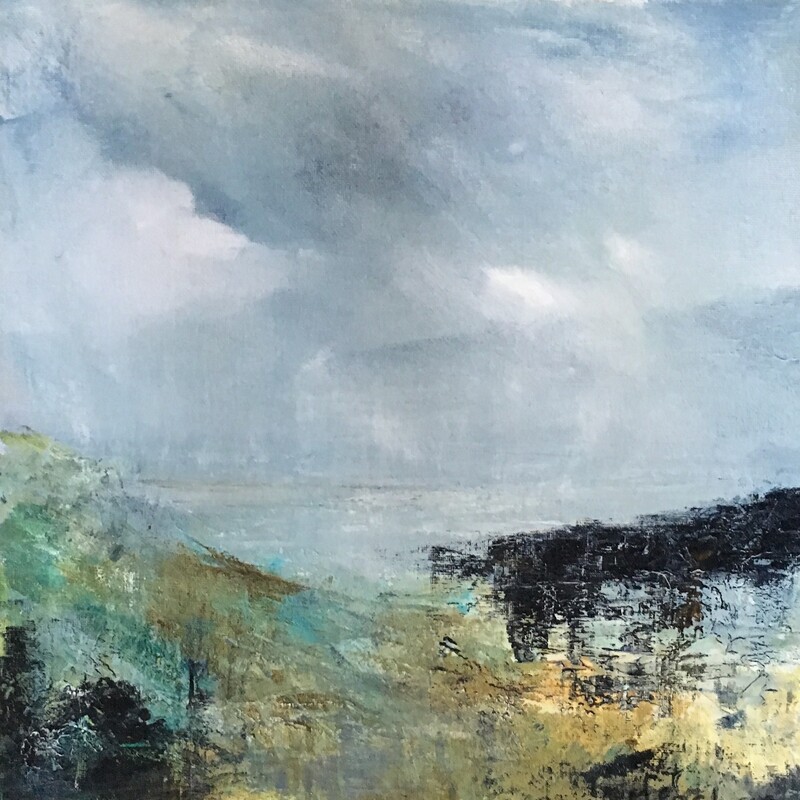 Another Cornish painter Jethro Jackson, who has been with the gallery for some time now, has some new styled work that concerntrates on the ocean and time with an almost tidal creativity of this wild coast. Jethro's work is wonderfully textured with the scraping, scratching and dripping of the colours all being part of the story. 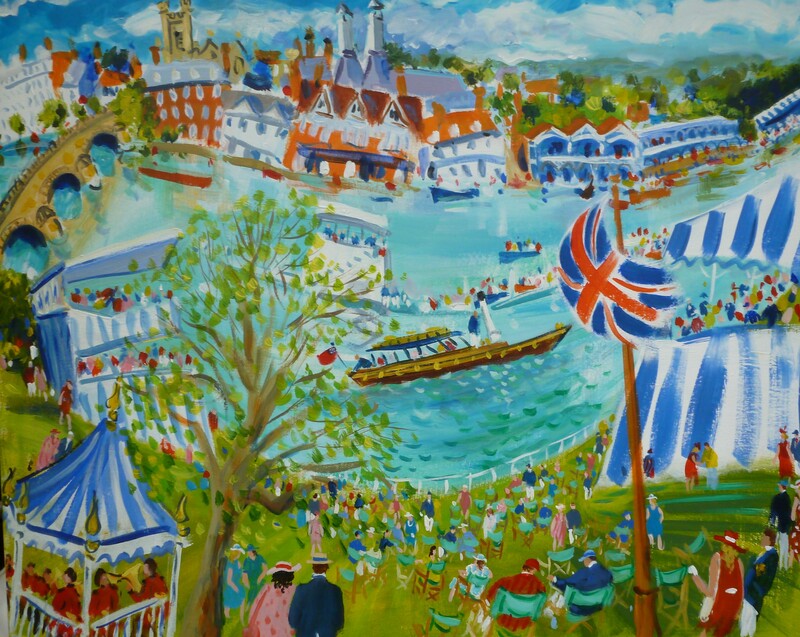 A gallery favourite Mary Pym is exhibiting her instantly recognisable colourful linear landscapes. 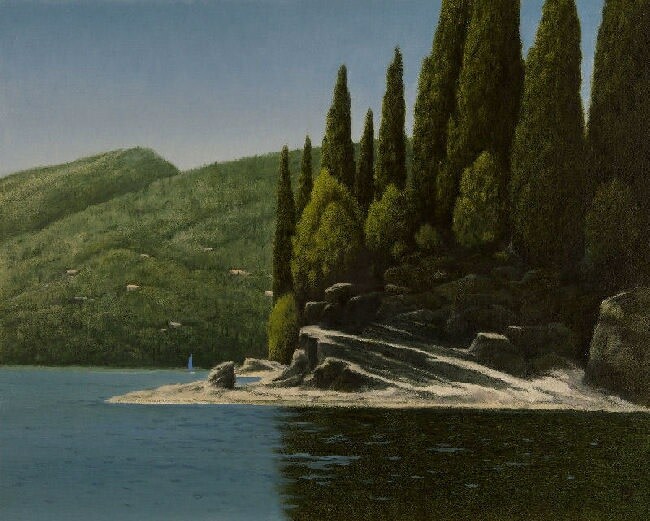 Michael Bennallack Hart has some wonderful landscapes of Greece which with their accurate, almost photographic quality makes you feel as if you are actually there witnessing the scene first hand. Paul Treasure another gallery favourite has his vibrant textured paintings on show with a new trend of slightly more muted colours, alongside his wonderfully lit and brightly coloured recognisable works. 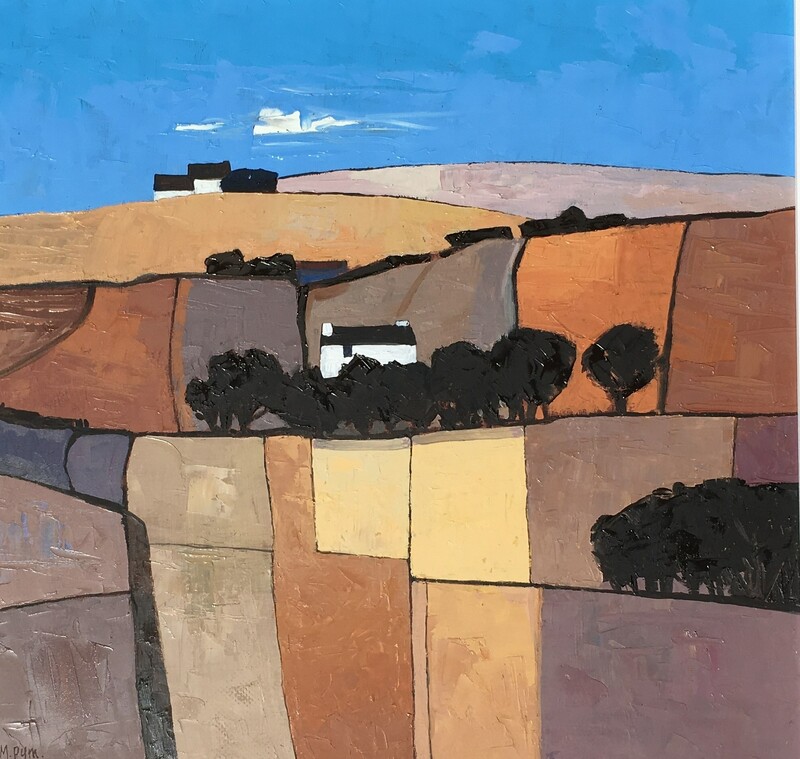 On the subject of colour and summer fun we have Ian Weatherhead's colourful depictions of the English countryside with his charming style of twisted angles, giving the scenes a unique energy. 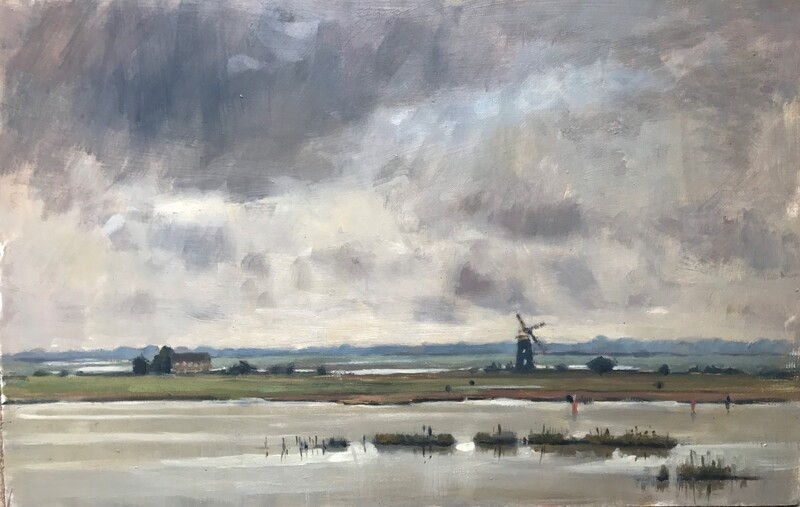 Alice Boggis-Rolfe is a new emerging talent and manages to capture the landscape scenes with her most extraordinary light giving her work an honesty that comes from her love of painting en plein air. 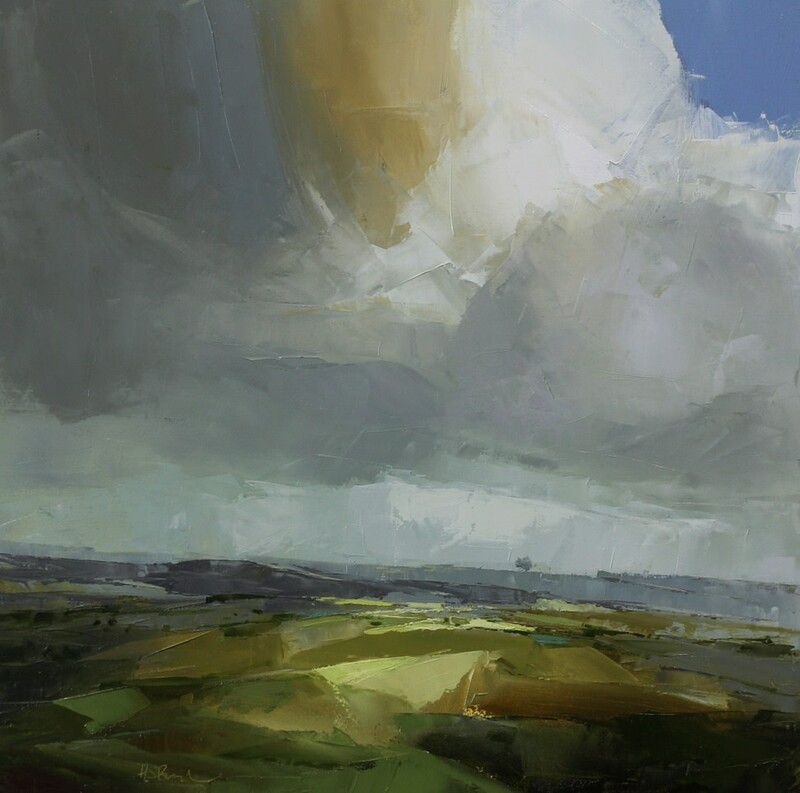 Another artist who captures the wonderfully moody British skies with amazing accuracy is Harry Brioch whose love of big cloudy skies and green rolling landscapes are also adorning the walls. 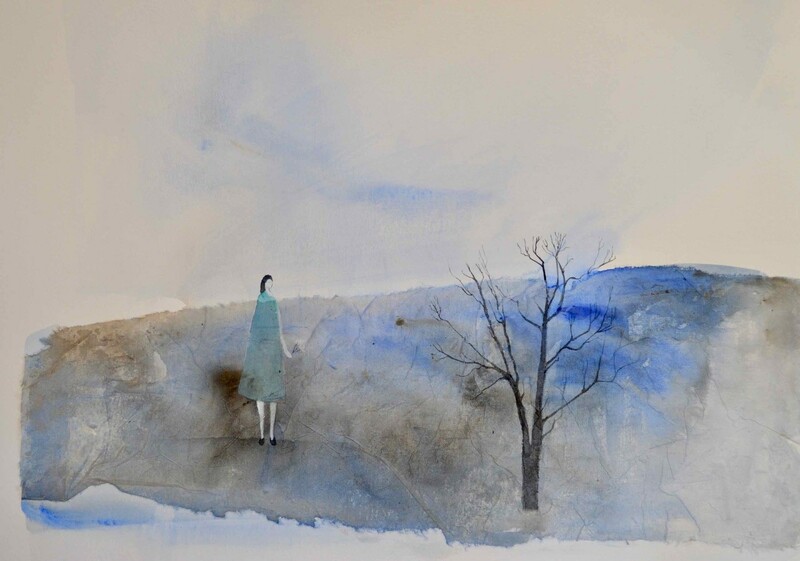 Our final two artists exhibiting in the show have very different styles with Julie Collins's mixed media, watercolour and acrylic on paper paintings with her unusual earthy shades giving them an almost ethereal quality, mixed with a delicacy. 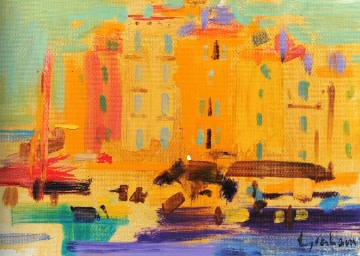 Finally Peter Graham, who has been the artist in residence this summer in Saint Tropez, provides us with a real taste of summer with his bright and dazzling colours which make his work impossible to walk past and so uplifting. We do hope that you are able to come down to the gallery and see the show for yourselves as well as taking a wander in the Sculpture Garden which in spite of the soaring temperatures is looking magnificent.